Have you wondered how to gain some popularity for sharing free stuff like wordpress themes, graphics, psd files and other things you've created? 1. Tweet And Get it ! Tweet&Get it ! 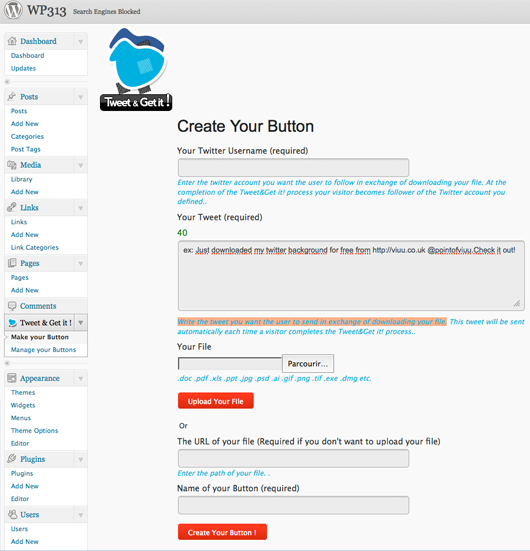 is an automatic process to get Twitter followers in exchange for a free file. 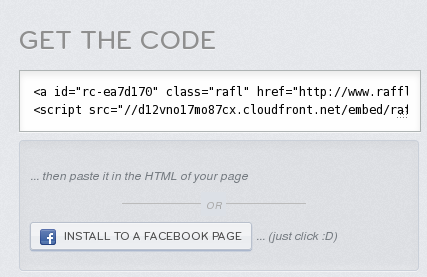 Get your shortcodes by setting up your Tweet&Get it ! buttons. Copy/paste the shortcodes into posts, pages and widgets areas. Your Tweet&Get it ! buttons will immediately be available to your visitors. Download and unpack the download-package. 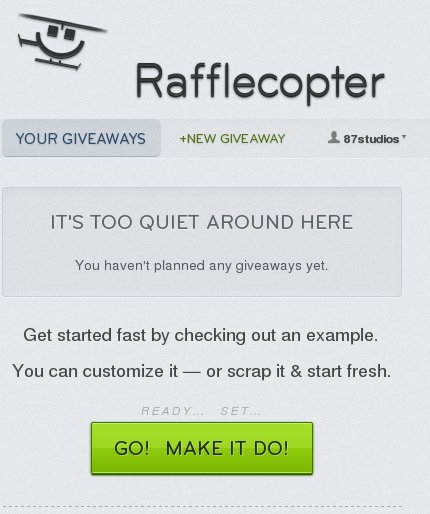 "Rafflecopter makes running online giveaways crazy-simple. 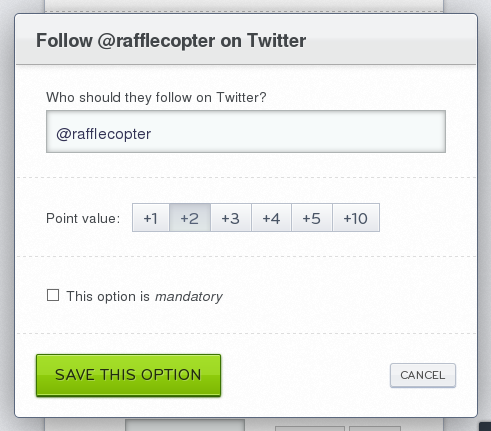 Rafflecopter allows you to customize and embed an entry form on your site that incentivizes your audience to perform tasks in exchange for entries into a sweepstakes. Customize your widget and place it anywhere HTML is accepted, whether it’s on your WordPress blog or your Facebook page. Provide the promotion details, plug in the prize, and you’re off and collecting entries. Build your email lists on MailChimp, ConstantContact, and AWeber. Grow your audience across all your social networks, including Facebook, Twitter, and Pinterest. 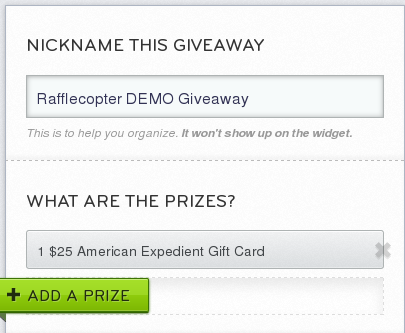 When your promotion ends, Rafflecopter gives you the tools that makes selecting and announcing a winner a piece of cake. Download all your entries and giveaway history into a spreadsheet with a single click." 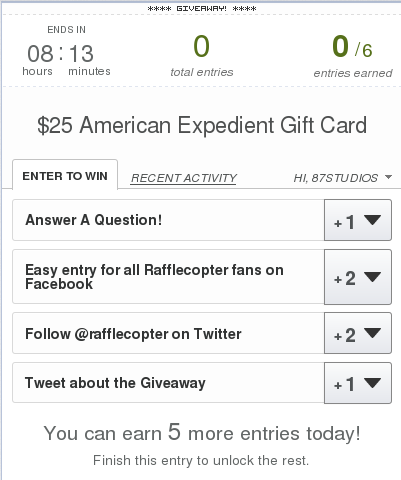 1.Go to Rafflecopter signup page and fill forms with your details. 2. You'll be redirected to welcome screen, where is a green button. Click it. 3.On the next screen there is a lot of options of your first giveaway. So give a name to your competition and set up single or multiple prize. 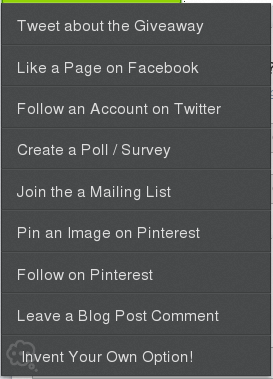 Select one or more and add a value for each one (click change the options). Screen above is a settings page for tweeter setup. In the next step, select when the contest will begin and when it will be closed. Then click "Get the widget" and you are almost done. The final part is to copy that html code and paste it into your wordpress post or page, but there is also possibility to place it on facebook fanpage. And thats it! Enjoy your growing audience.